AP 13 Oct 2017 The world’s oldest commissioned warship will set sail from Charlestown Navy Yard in Boston on Oct. 20. It will be the warship’s first sail since October 2014, and commemorates the Navy’s 242nd birthday and the 220th anniversary of the Constitution’s launch. I would love to witness gun salutes blasting from this mighty and historied vessel! The USS Constitution is a spectacular wooden-hulled, three-masted heavy frigate of the United States Navy, named by President George Washington after the Constitution of the United States of America. 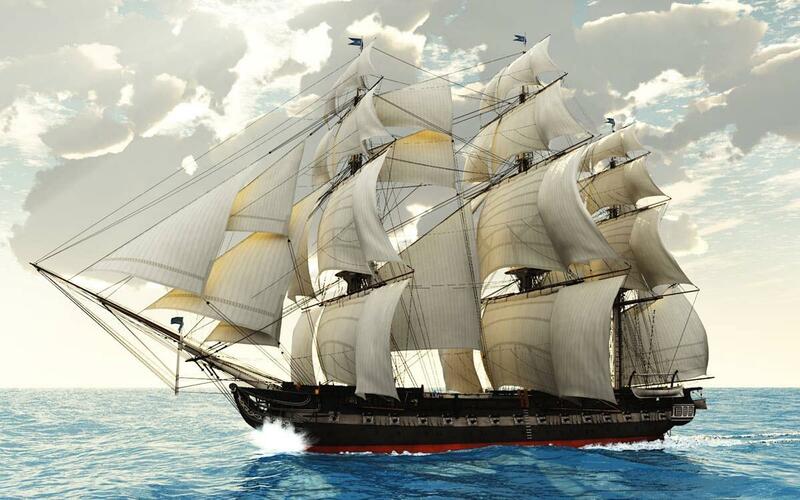 She was among the first naval warships commissioned by the US government in 1794 and notably seaworthy to date. As such she is the world’s oldest commissioned naval vessel afloat. 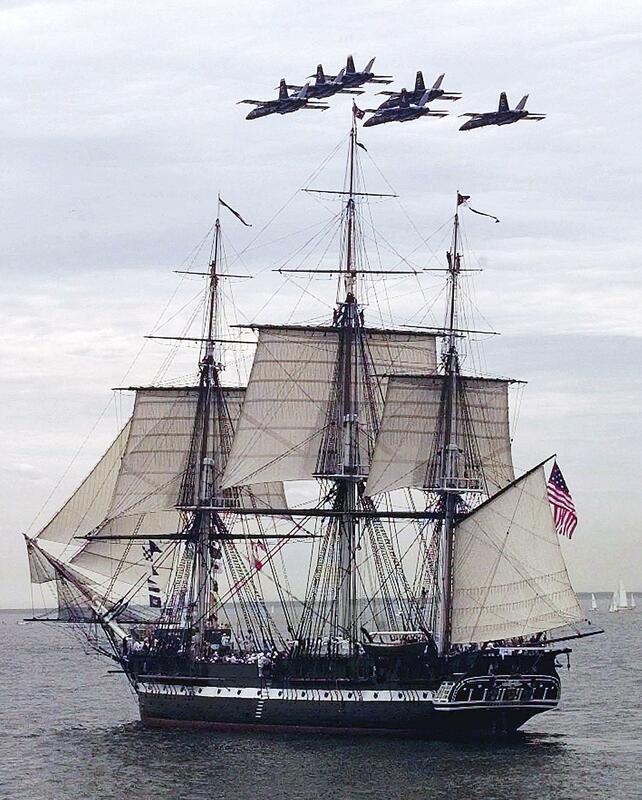 She got the nickname “Old Ironsides” from significant naval victory against the British in the War of 1812. 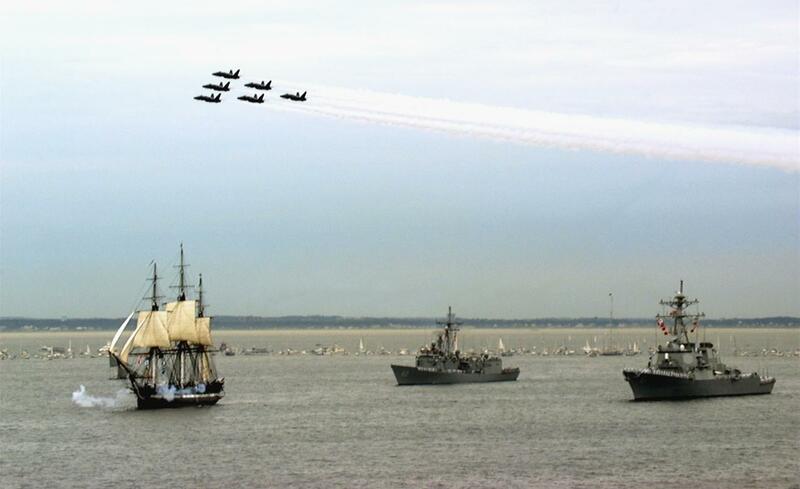 The U.S. Navy traces its origins to the Continental Navy. It was established during the American Revolutionary War thru the strong support and influential feats in naval battle of George Washington. 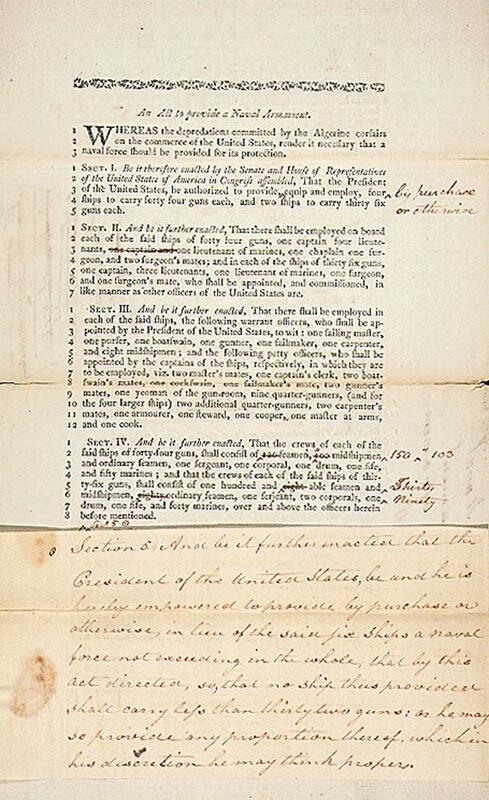 On 13 October 1775, the Continental Congress authorized the purchase of two vessels to be armed for a cruise against British merchant ships; this resolution created the Continental Navy and is considered the first establishment of the U.S. Navy. 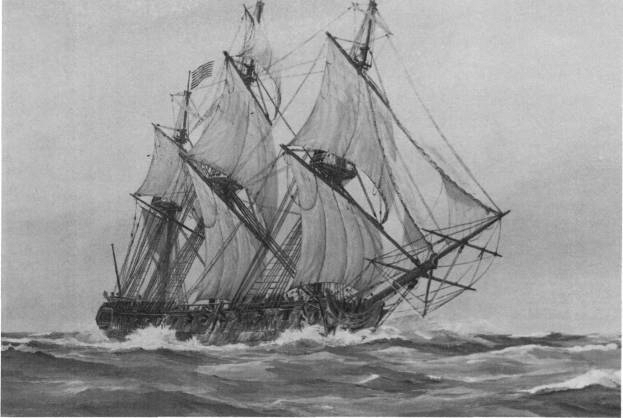 Towards the end of the Revolutionary War in 1785 the Congress sold the last remaining vessel in the Continental Navy, the Alliance, due to lack of funds to maintain the ship or support naval resources. 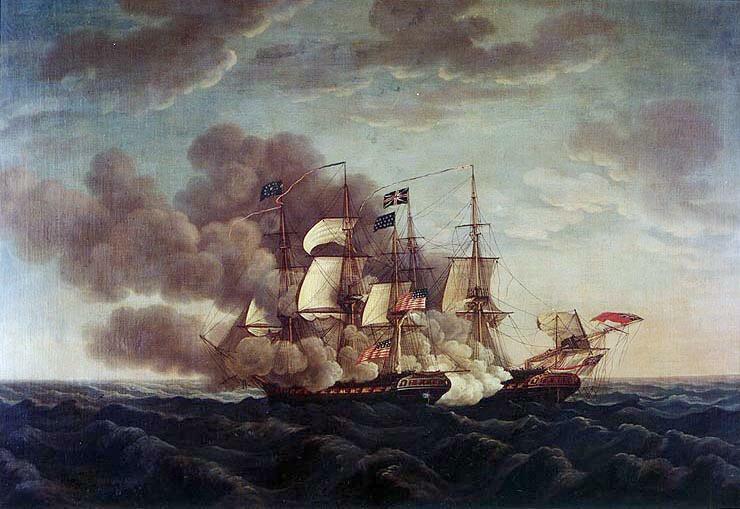 With the success of the Revolutionary War, the United States became an independent nation but lost its navy and the protection of the British Empire. The subsequent decade of protection by the precursors of the Coast Guard seemed sufficient. Ultimately, it left American merchant ships vulnerable to intimidation by hostile nations and wholesale seizure by Barbary pirates. It was the latter that incited urgent action to create what would over time become the current US Navy. The USS Constitution was among the largest of the first warships commissioned by the US Congress in the Naval Armament Act of 1794. These ships would aggressively respond to the Barbary threat in the Mediterranean Sea. 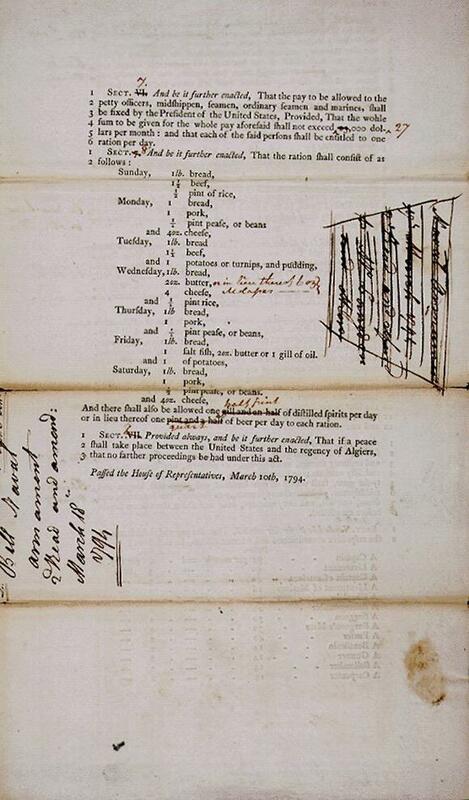 Naval Act of 1794 established what continues today as the United States Navy. Titans of the seas. The Nimitz Class nuclear-powered aircraft carriers are the largest warships ever built. The next generation, the Gerald R Ford Class, will be even larger. Carriers are only named for Presidents and other such notable individuals, like Admiral Nimitz. 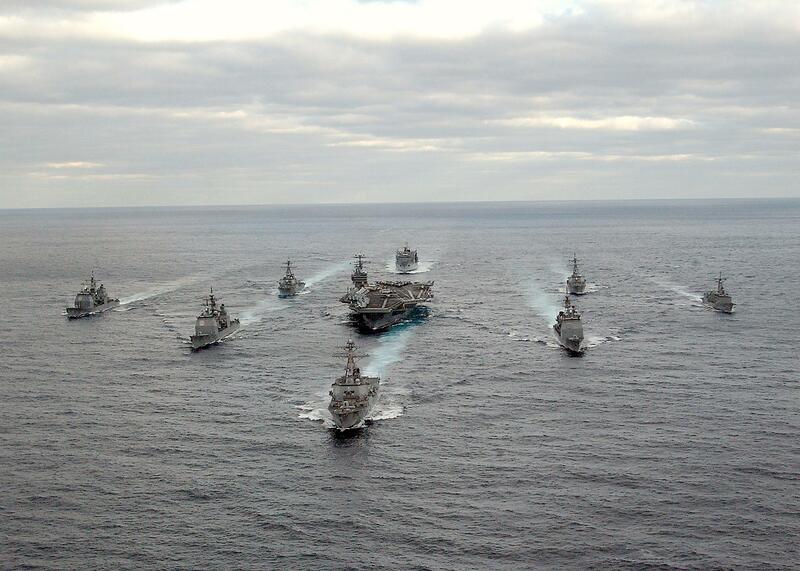 Carrier strike groups are both an offensive and defensive capable presence in the seas worldwide. SOURCES: heavily wiki cuts – not all are cited, AP, various military themed sites.